Phew, that was one wet winter! In fact, it was one of the wettest we’ve seen in the last decade. Parts of the Bay Area received almost 200% of their normal rainfall. Thanks to these historic rains we are expecting one of the best wildflower blooms in years. And, it just got started. 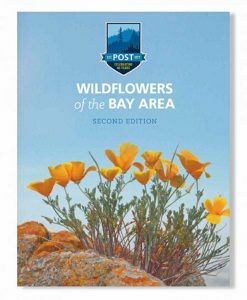 Before you go out and experience the spring season, download our new guide: Wildflowers of the Bay Area. This easy-to-use guide will help you identify 30 of our native wildflowers, as well as the best parks and preserves to find each of them. This time of year, we’re especially grateful to have so many open spaces to explore. For us, it’s what makes living in the Bay Area so spectacular. We’re committed to protecting these special places. Read more about our work and the 75,500 acres of open spaces we’ve protected in the last 40 years.